Sew for yourself. Sew for the community. 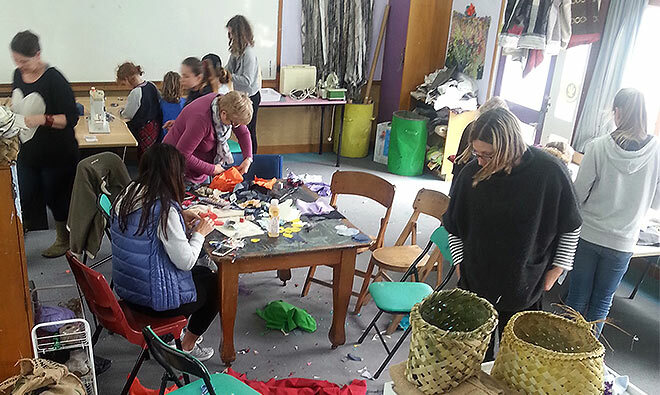 ​Stitch-O-Mat is a community sewing room based in Room 1 at The Old School in New Brighton, Christchurch. 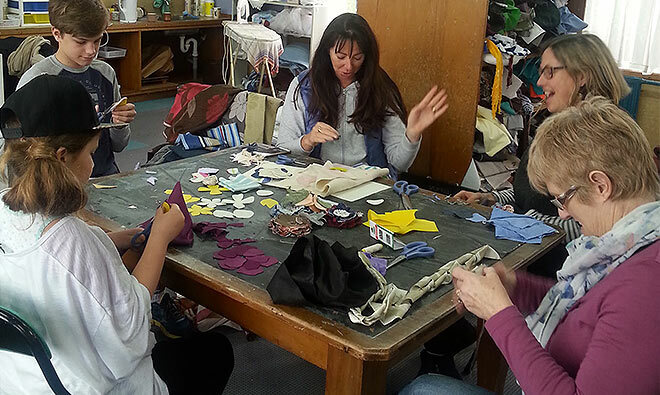 New Brighton Stitch-O-Mat offers the community a resource for upskilling sewing skills and a hands-on way to recycle fabric and develop creativity. Machines are available for people to use for their own sewing project, or to sew for a community project such as the Veggie Co-op and the Childrens' Ward at Christchurch Hospital. Stitch-O-Mat also offers a Learn-to-Sew class and Sustainability Workshops, plus more workshops for children and seasonal events. Everyone is invited to come along and experience Stitch-O-Mat for a koha (donation). 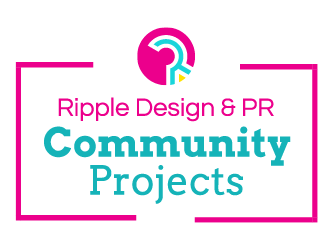 Come along and bring your own project or pick one of ours (like a vege market bag, a reusable sandwich bag, a book bag, a swim bag and more). Stitch-O-Mat is a project created by Samantha Fay and Bridget Allen. To find out more about Stitch-O-Mat and how you can get involved, please get in touch. © Stitch-O-Mat. All rights reserved. ​Logo design by Jayne Joyce.